I was watching Frankie Valli being interviewed on The Big Interview by Dan Rather, and was saddened to know, that he had lost two children in a short time period. He lost his daughter Celia, when she fell off a fire escape, then six months later his daughter Francine died from a drug overdose. Their deaths drove him to drinking, but he eventually recovered from the deep depression he was in. Valli was born on May 3, 1934 in Newark, New Jersey as Francesco Stephen Castellucio. He was inspired to become a singer at the age of 7, when he saw Frank Sinatra in concert. He told about growing up in a Mafia neighborhood, and how the word was out to leave him alone. He told Rather that he lost a lot of friends, who were found in trunks of car in mob killings. His name was changed when his mentor “Texas” Jane Valli was helping him and he decided to take her last name. It was about this time, that Valli was barbering till he became successful in the music business. Success didn’t come easy for Valli who started singing in 1951, and he sang with various groups till the Four Seasons were formed in 1960 and named after a cocktail lounge. Vee Jay record label was the label that they found the most success with. Sherry and Big Girls Don’t Cry both debuted in 1962 and went to #1 on the Billboard chart. Walk Like a Man was their last #1 hit on the Vee Jay label in 1963. They had their first hit on the Philips/Smash label, when they recorded Dawn which went to #3 in January of 1964. Rag Doll was their last #1 song in June of 1964. Valli started recording albums as a solo artist, but still worked with the Four Seasons. May of 1967 would bring his first solo hit in My Eyes Adored You which went to #1 on the Billboard chart. Valli changed labels again and would record Oh What A Night in December of 1975 on Private Stock record label. He would record his last #1 hit in May of 1978, when Grease went to the top spot on the Billboard chart. He didn’t record another single that charted after June of 1994 according to his Wikipedia discography. Dan Rather asked Valli why he is still singing at 81, and he said that he wouldn’t know what to do with himself. He said he tried retiring a time or two, but it just made him want to return to singing. Rather mentioned the excellent memory of Valli and he said he memorized the lyrics to about 2,000 songs. Valli also mentioned about his acting career and said he had been on Sopranos television program and was recently on a Hawaii Five-0 episode. He said he had plenty of money, but still won’t buy something until it is on sale. He says he got that from his childhood. The Four Seasons were one of those groups like the Beach Boys and Bee Gees, that had their own distinct sound. Valli’s falsetto voice is what made the Four Seasons stand out from the other groups. We are wishing Frankie Valli a lot more years on the road. He is truly an American icon. American Idol Season 14 Judges – Keith Urban, Jennifer Lopez and Harry Connick Jr. If there was ever any doubt, about which singing competition show is more popular it has been removed. The Voice Season 8 has attracted less than 10 million viewers only 4 times this season, while American Idol attracted less than 10 million viewers 16 times. American Idol Season 14 peaked on January 8 with 11.23 million viewers watching. The show bottomed out on Episode # 24, with 6.58 million fans, and attracted only 7.36 million in the show that aired last week. The February 18th show of American Idol was the last to draw more than 10 million viewers. American Idol is down to only four remaining contestants, but the fans apparently don’t really care who wins, since the ratings continue to drop week to week. The Voice Season 8 peaked on March 3, when Episode #4 attracted 15.54 million viewers. The show which aired last week drew only 9.49 viewers, which totals over 6 million fewer fans than those that watched it at its peak in March. Still it has topped American Idol in the ratings all season, so should definite return this fall for Season 9. However, American Idol seems to be on shaky ground. It still draws more viewers than most shows on the Fox weekly schedule, but Fox may rather drop the show, then see the show die a slow death, over the next year or two. American Idol to me still is the better show, since it has produced some big stars, while the winners of The Voice seem to disappear after the finale in which they win. Season 1 winner Kelly Clarkson and Season 4 winner Carrie Underwood have had the most success, after winning Idol and are still both recording 10 years after Underwood won. Season 5 through Season 13 winners have had some success, but nothing like the success of Clarkson and Underwood. Season 12 winner Candace Glover and Season 13 winner Caleb Johnson have failed to sell many albums. Their lack of success may have cooled interest in the show by viewers. The Voice while seeing a drop in their ratings, as the season went on is still the clear winner, in the battle of the TV ratings battle with American Idol. 22 years have passed since Vince Foster allegedly ended his life, by shooting himself in the head on July 20, 1993. Foster was said to have been depressed, at the time of his suicide, but don’t know whether to take those reports at face value. There have been reports, that Foster knew too much about the shady dealings on the Clintons, and was shot and then staged to appear as if he had committed suicide. 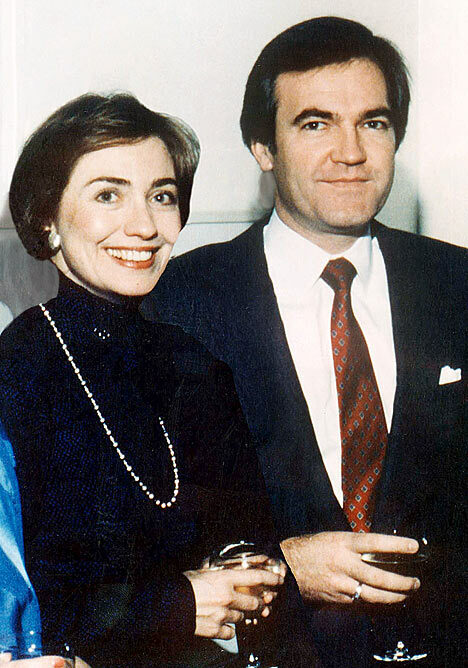 BACKGROUND ON VINCE FOSTER – He was born Vincent Walker “Vince” Foster Jr. on January 15, 1945 in Hope, Arkansas. He was a childhood friend and neighbor of future president Bill Clinton as a youngster. Foster joined the Rose Law Firm in 1971 and later helped Hillary Rodham gain employment with the law firm. He was chosen Outstanding Lawyer of the Year in 1993, by the Arkansas Bar Association. Foster was appointed as White House Defense Counsel, but that did not go that well, when he submitted the names of three people, who were rejected by Congress, as political appointees. The Travelgate incident concerned the firings of seven employees and Foster and Hillary Clinton were reportedly involved in the firings. Deputy White House Counsel Vince Foster became worried about the firings about to take place and ordered the KPMG Peat Marwick review. The review started on May 14 and the report was given to the White House on May 17. KPMG was unable to do an actual audit, because there were so few records in the Travel Office that could be audited and because the office did not use the double-entry bookkeeping system that audits are based upon. One KPMG representative later described the office as “an ungodly mess in terms of records” with ten years of material piled up in a closet. When the review came back with its reports of irregularities, Watkins went ahead with the terminations on May 19. It would be only two months after the firings, that Foster would allegedly end his life on July 20, 1993. We may never know what happened the night that Foster is said to have committed suicide. One of the 101 peculiarities is that nobody heard gunshots, but that could be because Foster may have been killed elsewhere and then brought to the staged scene, where it would appear that he committed suicide. The closest house was 490 feet away, which equals to 163 yards, which is equivalent to a football field, plus another 63 yards of a second football field. 1. The man who discovered the body in Ft. Marcy Park says he was curious about the cause of death and looked closely for a gun. He emphatically says there was no gun in either hand. The FBI put great pressure on this witness to change his testimony. Why? Did he interrupt the staging of a suicide that was only completed after he had left the scene? 18. Five homes are located an average of 490 feet from the crime scene, yet nobody in the neighborhood heard a shot. The residence of the Saudi Arabia ambassador is 700 feet from the crime scene. Guards at the residence heard no shot. Presumably the sound of a shot would greatly alarm trained bodyguards. This anomaly is neatly accounted for if (1) a silencer was used, or (2) Foster was shot at another location. With Hillary Clinton about to announce her run, for the Presidency in 2016 we can expect fresh looks at the Whitewater scandal, the Travelgate scandal, and the Vince Foster suicide, This is in addition to the questions being raised, about her time as Secretary of State. American Idol Season 14 has been on speed the last two nights, with the males singing on Wednesday night and the females on Thursday night. Fox network has reduced the show to an hour this season, and gone were the long-winded judges opinions and the hi and bye conversations, with Seacrest and the contestants helped speed the show along. I think Keith Urban, Jennifer Lopez and Harry Connick Jr. are doing an excellent job of judging, but they won’t be on screen much, with the shows being shortened. The shows were frenetically paced on both nights, with two singers singing, then a round of commercials, then repeating till the show was over. The show had to squeeze 12 singers into about 40 minutes, so there was no time for a lot of needless filler, like we saw in previous seasons. There is a huge difference in having two hours to sing 12 songs, than to have them sung in only an hour. The result shows will only be 30 minutes this year, so once American Idol is down to the 12 or so contestants, American Idol will only be on television screens an hour and-a-half a week. Ryan Secrest can no longer build up the drama on result nights for an hour, so will have to cut to the chase sooner. There will still be time for guest singers on results night, since a half hour show really only lasts about 22 minutes, after leaving time for commercials. Mark Andrew takes us back to the 70’s with his version of The Weight. The Band’s version from the The Last Waltz movie featuring Leverne Helm and the Staples Singers from the late 70’s. The Voice continues to attract more viewers, than American Idol, as the ratings showed 14.6 million viewers watched the second episode of The Voice Season 8. Meanwhile, American Idol only attracted 11.76 million, in their highest rated episode, American Idol Season 14 has not drawn more than 11 million viewers, to any episode since February 4. The Voice ratings are almost 3 million ahead of American Idol, when comparing most watched episodes of the two shows. American Idol may never regain the popularity it once had, since the show peaked on May 21, 2003 finale, with 38.06 million visitors tuned in. The 2014 season finale bottomed out at 10.53 million viewers. It is not a good sign, when a show loses 28 million viewers. The purpose of American Idol and The Voice is to produce stars, who make it big in the music business, and The Voice still hasn’t done that. American Idol Season 10 winner Scotty McCreery and Season 11 winner Phillip Phillips have both had platinum albums and platinum singles. However, Season 12 winner Candice Glover’s first and only album so far sold only 27,000 copies and her only single peaked at #93 on the US chart. Season 13 winner Caleb Johnson’s debut album, which was released in August of 2014 has sold only 11,000 albums. It is ironic, that Chris Daughtry who came in fourth in Season 5 has had the most success in record sales, among the rock singers on the show. Daughtry and his band’s debut album sold 7 million copies worldwide, and his second album went platinum, and third album went gold. His fourth album has not done as well with only 90,000 albums sold, after the album was released in November of 2013. Season 1 winner Kelly Clarkson and Season 4 winner Carrie Underwood have been by far the most successful singers, who have been produced by American Idol, with both of them going strong many years, after they appeared on American Idol. The Voice may be winning in television ratings, but American Idol is the winner when it comes to producing stars, that make it and sustain careers in music. American Idol may not be around much longer, if the ratings don’t improve, but then it may be around for years to come, since they may have a problem finding a show that can garner higher ratings, than American Idol has done for many years.